The English version of Mobius Final Fantasy to be released on August 3rd in NA and EU! Currently, both the NA and EU sites only house general information, the announcement trailer, and the pre-registration link. Consider signing up so you can get tons of in-game rewards! … Although why are they only giving out 1 Summon Ticket? Shouldn’t it be reversed? 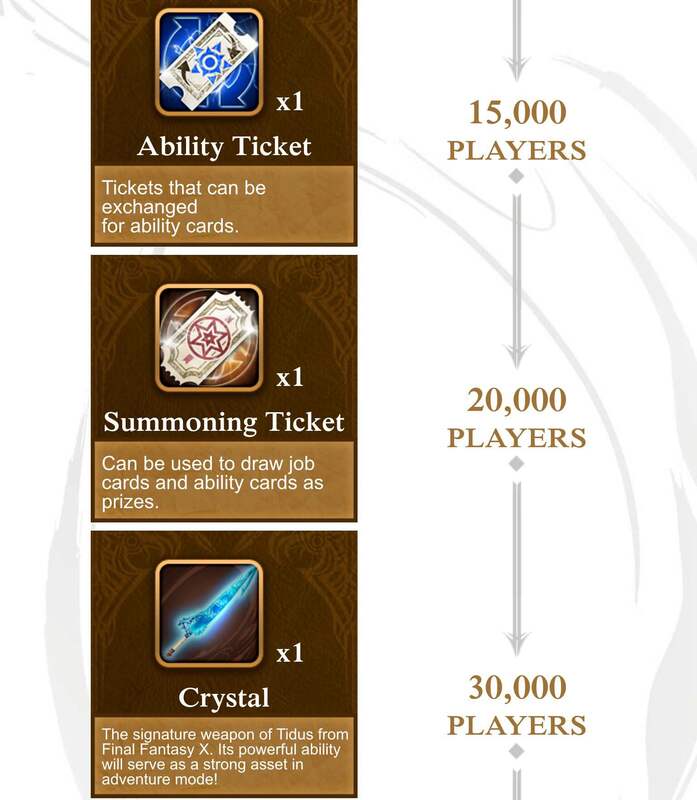 (re: 1x Ability Ticket and 6x Summon Tickets) so people can do a multi-card draw? Bleh. I have no recollection of what the launch bonuses were for the Japanese version. Maybe they did the same thing. 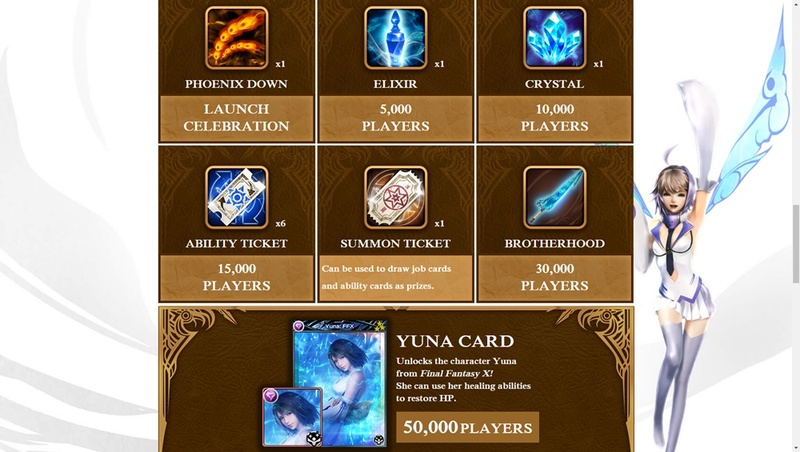 The Yuna card wasn’t a part of it though since that came later on as a promo reward for Mobius FF commercials airing in Japan. My holy trinity consists of Hellgate (Wall + Barrier + Regen), Knights of the Round (Brave + Faith + Boost), and Hermes (Haste). Lately though, I’ve been substituting Hermes for The Undying (Haste + Snipe + Drain) and Knights for Trance-type cards since they boost all job stats. Of course, none of this matters until the cards are actually released in the game. I doubt The Undying and the Trance ones will be show up any time soon since they were added in the FFXII event that happened recently. 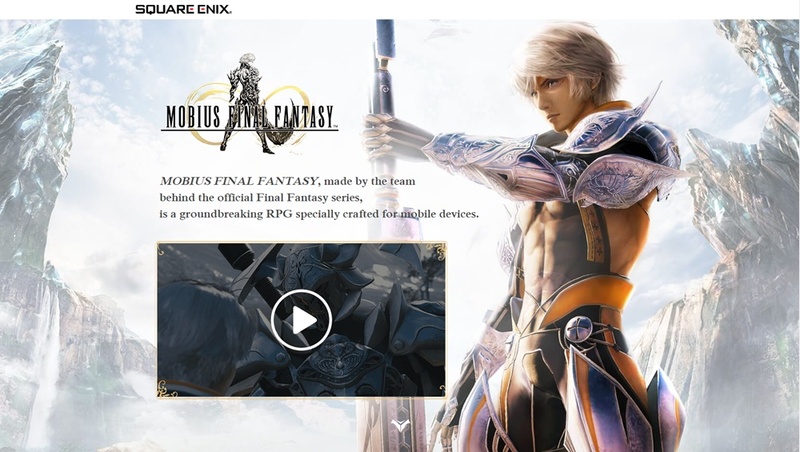 Someone at Square Enix didn’t proofread the images before uploading the mobile version of the website. Hi, is knight of the round and hermes available in the North America server? Hermes should be showing up in the near future. KOTR later than that.